Yesterday I discovered a beautiful road climb within a few minutes of the city centre. I’m amazed I’ve never ridden it before. Tucked away behind Cascade Brewery is a little road called Old Farm Road that follows Guy Fawkes Rivulet (does anyone know how it got its name?) straight towards the base of Mount Wellington. The entrance to the climb is unprepossessing, passing the industrial complex of Cascade Brewery. But tucked away to the left of the complex, Old Farm Rd beckons, first of all gentle rising as it passes a grassy park, ducking through some trees with Mt Wellington glowering above, and then tucking around and over the little rivulet before starting to climb in earnest. This little road is just one lane wide, and you could be way out in the bush — there’s no sign of the city. After the bridge over the rivulet, you ride past a few houses before a couple of fantastic hairpin bends that lead into a steep ramp. Watch it on the descent — you’ll smoke your brakes coming into those corners! Old Farm Road is also an access road for mountain bikers heading towards some of Hobart’s best tracks. But this blog post is for skinny tire bikes! It’s a steep little climb, 1.8km at 9.0%, making it a Category 3 climb in Strava’s estimation. It has steep ramps, hairpins, a bridge, and is just one lane wide. I love it! How to get to the climb: Take Macquarie St, and turn right after Cascade Brewery. A gentle gradient here, but enjoying the scenery too much to smash the climb! Now we start climbing. If it wasn’t for the gum trees, we could be in Europe somewhere. Is that the Old Farm ahead? 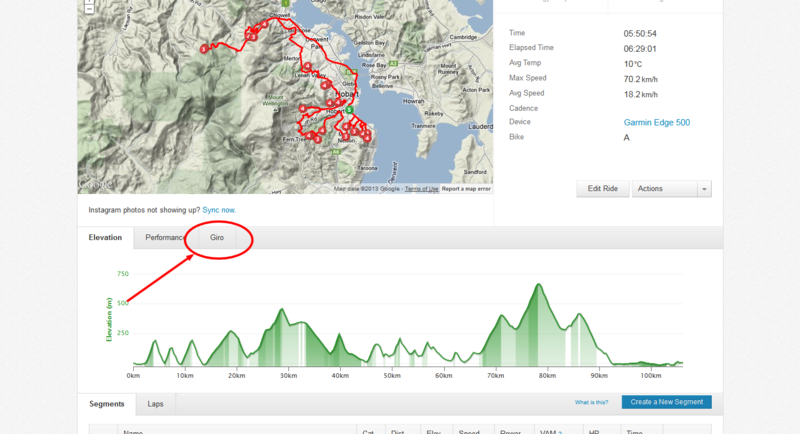 This post is merely a summary of the climbs I have described in my Hobart’s Top Ten Climbs Series for your reference. Enjoy! So I am sure that my cycling mates won’t agree with this list of climbs, and more importantly, the order of the list. But this is my list — I’d love to see your list. You’ll often find me slogging my way up one or another of these climbs… Now writing about the climbs turned out to be easier than I expected, but getting photos for the climbs has taken a fair amount of work and in more than a few cases, a couple of revisits to the climb for a new set of photos… Nearly all the photos were taken with a phone camera, so quality is pretty variable. I hope this series has inspired you to go out and ride these climbs! Now that this series is done, I’m taking a break from bike blogging for a while. See you next year! Mt Wellington — this view from Mt Rumney. When I wrote the first draft of this post, I was sitting down at Salamanca Place enjoying a coffee as the sun burned off the early morning fog. I had the day off work and was going to watch Stage 1 of the Tour of Tasmania, a rather unique Team Time Trial up Mount Wellington. I planned to watch from three quarters of the way up the mountain at the Chalet, 1000m above sea level, at the end of the steepest section of this climb. I was keen to see how many of the teams were still together at this point. Read the full story of the TTT. It’s pretty much a given that Wellington would be the top climb in my list. It’s by far the biggest climb and the mountain dominates Hobart. You really can’t call yourself a mad cyclist in Hobart until you’ve conquered the mountain. However, no one should ever describe the Wellington climb as easy. Living as I do in the foothills, I’ve ridden up many times, and I still find myself wondering what on earth I’m doing when I’m half way up the steep sections of the climb. In this blog I’ve opted to describe the section between Fern Tree and the summit of Mt Wellington, as there are multiple approaches to Fern Tree that all converge on this 11 kilometre brutal slog. As with all my longer climbs, I like to break Wellington down into sections; hence the Wellington climb can be split up at the Springs at 720m and the Chalet at 1000m. Each section has a markedly different feel. The first section is a little deceptive, marked as “only” 6.8% on average. One might wonder then it is so hard to get a tempo rhythm up on this section of the climb. 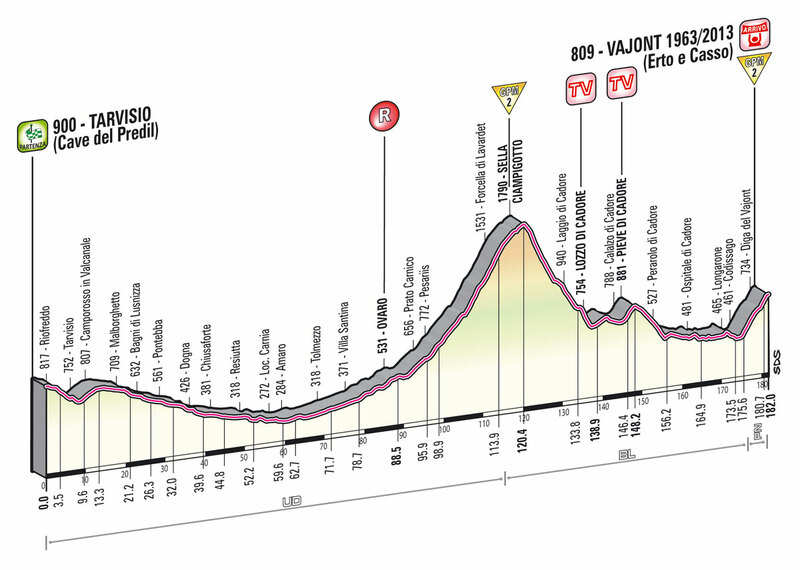 This is because the gradient on this section is actually mostly above 8%, with just the last kilometre at about 4% (which feels flat in comparison). It is characterised by tall forests and cool fern-shaded bends. It finishes at The Springs, a popular picnic area where there also used to be a hotel, before it was destroyed in the 1967 bushfires. And now is where the pain really starts. The next section is steep with a constant average of about 9% and has a rough road surface which saps your energy with every turn of the pedals. The view to your right is often amazing but it is pretty hard to take it in! This steep stretch of road seems to go on forever, and at each corner you peer hopefully ahead for a glimpse of the Chalet at 1000m, but it’s always a corner or two more than you expect. I take heart when I pass a parking bay – it’s only 1km from there to the Chalet! Once you make it, hot and sweating, you’ll pause for a minute. Congratulate yourself, it’s a tough climb! I can rarely stay long on the summit: there’s usually a brisk wind and the temperature is cold… The descent is long and cold – put on your full finger gloves and a wind jacket! You should combine this climb with Longley to Neika, or Strickland Ave, or if you are a masochist, Waterworks Rd, for the full experience! Although you can approach this climb from the city via Huon Rd, this is not a particularly pleasant route due to traffic and I would recommend Strickland Ave over Huon Rd. Your challenge: ride the mountain 3 times in one day. Nope, I haven’t done it; Cameron Wurf has. How to get to the climb: Take the Strickland Ave climb, or the Commando Route to Longley. Turn onto Pillinger Drive in Fern Tree as signposted. On the plateau, the summit is in sight, but still nearly 4km away! Cold, foggy summit. That’s probably more typical. Didn’t hang around! Another day. Bethany conquers the mountain … well, the last 2km anyway! Still a massive effort! Fun bit of road for descending… if it’s dry! This is the ninth post of a series on some of the great road cycling climbs around Hobart. You can be notified of new posts in the series by following me on Twitter. Until now the climbs have been reasonable, but now it all changes. I still remember the first time I rode up Waterworks. I forced myself to finish the last few hundred metres without stopping, crawling up in my 40×28 bottom gear on my old steel frame Superlite, and finally saw the road levelling out and the crest of the hill just ahead. The last 50 metres were just torture – surely the climb should be easier now: it’s levelling out. I reached the very top of the climb, with its view over the Ridgeway Reservoir, and collapsed over the handlebars, panting and nearly dead. And then I realised that wasn’t the top – there was still more to come. Waterworks still rates for me as the hardest climb in Hobart. It is a shorter challenge than Mount Wellington, but so much steeper. 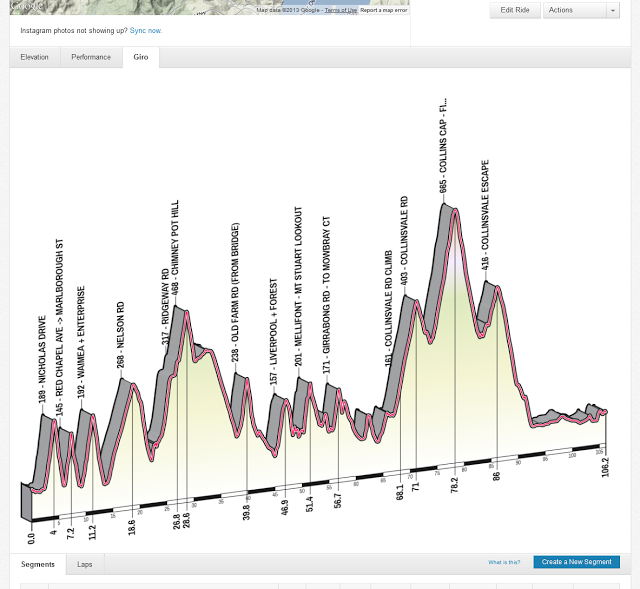 The full Waterworks climb is still a 350m ascent over 4.4km. That may not sound too bad until you realise that nearly half of that distance is made up of a level plateau traversing around Ridgeway Reservoir. The maximum gradient is somewhere in the order of 25%, about half way up the first section of the climb, and the road surface is rough, uneven and lumpy, so you have no hope of riding to a tempo. It’s just a tough, tough grind, all the way up. I now live at the top of Waterworks in Ridgeway, and this means that every night on my way home the climb taunts me – when am I going to try it again? Usually I chicken out and ride up Strickland Ave. But eventually I forget how just hard the climb is and turn up Waterworks Rd… Now remember that the climb starts at 150m above sea level – the same altitude as the summit of Bonnet Hill. All that ascending before you get to the start of the climb? That’s just a warm up. It’s on nice, smooth tarmac and I’m sure you’ll be thinking, how hard will this climb really be? Then you turn the corner that marks the end of Dynnyrne and the climb, ridiculously steep, opens up before you. I find myself climbing the first straight, in a couple of gears above my bottom gear, and still thinking this isn’t too bad… But the road just keeps getting steeper, and rougher, sucking up all my energy in bumps and ripples. All of a sudden I’m in bottom gear, and frantically pushing that gear lever to find another gear, as the road curves around its two steepest corners. From there to Ridgeway Reservoir is an exercise in mind over agony. Just slog away until you get there. Forget cadence, forget heart rate, they’ll both be silly. Just turn those pedals over and over again. And now you reach the crunch point: the climb doesn’t finish here, but you could pretend that it does (I do, with the powerful excuse that I’m going home…). But I know you’ll want to conquer the whole climb, and ride to the very top of Chimney Pot Hill. So, turn right, ride a couple hundred metres on the level road (oh blessed relief! ), and then turn left up the service road that leads to the Telstra tower at the top. You may have to hop off your bike to negotiate the gate at the base. This bit of road is enough to make seasoned riders cry. It averages over 10% for another one and a half kilometres. The surface on this road is pretty broken up, but given that you’ll be slogging along in bottom gear, it probably won’t be a problem for you! The most demoralising moment of this climb is no doubt about 500m from the finish, when the road straightens up for what at that point looks like an impossibly long 400m straight. Just remember, when you get to the end of that straight, you are nearly there! Again, there are some great views at the top. Not that you’ll be able to see them, as you’ll be too busy wiping sweat out of your eyes and trying to keep yourself from falling over. The descent of Waterworks would be one of the most technical in Hobart. It is very steep, with badly cambered corners, ripples, potholes, and a rough road surface. Great on a mountain bike but be careful on your road bike! Also beware of gusts on windy days – I’ve been literally blown off the road when I encountered a sudden strong cross wind on the descent. I’ve also overcooked it coming into the first of the two steep bends – the ripples make it very hard to slow down if you get too much speed up! I was lucky – I just explored a ditch for a few moments before somehow, miraculously rolling back onto the road! If that descent doesn’t sound like your cup of tea, turn left at the bottom of the service road, and follow Chimney Pot Hill Rd to Huon Rd, the gateway to Mt Wellington. Edit: I forgot the challenge. Just do it. Without stopping. How to get to the climb: From Sandy Bay Rd, turn right on King St, follow it up to Lynton Ave, then turn left onto Waterworks Rd. The climb starts 1km up this road. The gradient is deceptive, it doesn’t look as bad as it feels! The top of the first steep pinch is within your grasp! Holes in the road give you an excuse to weave! Does the climb ever end? And here’s what you were aiming for! This is the eighth post of a series on some of the great road cycling climbs around Hobart. You can be notified of new posts in the series by following me on Twitter. What am I doing sitting at the computer when I could be out on one of these climbs? There is little doubt in my mind that Bonnet Hill is the most popular climb in Hobart. Bonnet Hill lies on the Channel Highway between Hobart and Kingston, just south of Taroona, and is the usual commuting route for most riders from Kingston. It is also very popular in bunch rides. In this blog, I’ll look at both the Northern and the Southern approaches. Bonnet Hill is not a difficult climb, although the Southern approach is somewhat steeper and longer than the Northern side. The defining landmark of the Northern approach is the 150 year old Shot Tower, for a time the tallest building in the southern hemisphere. The builder of the Shot Tower practiced by making a small tower on his house first, before constructing the full tower — all without any formal learning on how to do it. The Shot Tower slides into view shortly after leaving the last houses of Taroona behind. There is some dissension on where the climb “officially” starts for competitive purposes, but most riders I know mark the start when they pass the southern end of the Taroona Hotel. The road winds about before reaching the Shot Tower — this is the “hardest” bit of the climb, and still not hard. Soon after passing the Shot Tower you’ll come across a neglected bike lane — it’s fine on a mountain bike but if you are on thin road tyres you’ll probably prefer to stick to the car lane. From there it’s an easy climb to the summit. Unless you are trying to do it at 30 km/h! The Southern approach starts with a steep 14% pinch called “Golf Course Corner”. It doesn’t last long, but it does take the wind out of your sails! From there, the climb continues at a much more reasonable gradient, with some great views over Storm Bay on your right. It is a little harder than the Northern approach, but it’s still not a huge climb. I find that both sides of the climb can be done without much difficulty in the big ring, with an average gradient of less than 5% in both cases. Being a popular climb, there are lots of riders competing for KOM honours; check the Strava links below to see if the medal is within your reach! The only issue with this climb is that there can be a fair amount of traffic at some times of day. There are no overtaking zones on either side of the hill, and the road is quite narrow. However, as the speed limit is 60 km/h, and there are plenty of places with enough visibility to safely pass, this does not typically pose a big problem; a little courtesy and awareness go a long way. There have been noises about constructing proper bike lanes on the hill, but no traction so far. Your challenge for this climb: I’ll give you two achievable options: ride both sides in the big ring, or ride the Taroona side no hands. How to get to the climb: Follow Sandy Bay Road south through Taroona.